Out of 43 schools in Orange County who were recognized, Centralia Elementary School District is honored to have two of the schools- Glen H. Dysinger Elementary in Buena Park and Los Coyotes Elementary in La Palma. California Superintendent of Public Instruction Tom Torlakson announced that 287 elementary schools are being honored under the 2018 Distinguished Schools Program. Of the 43 schools receiving this distinction in Orange County, Centralia Elementary School District is honored to have two of our eight schools recognized; Glen H. Dysinger Elementary in Buena Park and Los Coyotes Elementary in La Palma. 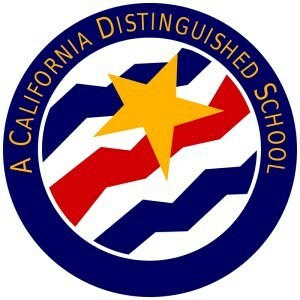 “Centralia is elated to learn that two of our schools have been selected as Distinguished Schools in California. I celebrate the accomplishments of Dysinger and Los Coyotes schools and I am proud that we can honor the dedicated work of our staff, the academic commitment of our scholars and the incredible support of our parents and community. Having 25% of our schools earn this distinction in 2018 speaks to the quality of education in the Centralia Elementary School District,” shared Superintendent Norma E. Martinez. Since 1985, Distinguished Schools are honored for outstanding educational programs and practices that help California students realize their potential, and success in making exceptional gains in implementing the academic content and performance standards adopted by the State Board of Education for all students.